Our society struggles with its message to young people. Schools tell kids to work hard, parents tell them to succeed and get good grades, social media tells them to behave and even look a certain way – I can’t imagine growing up with all of these different ideas flying around for how I should behave and think. These messages aren’t necessarily mutually exclusive but this mix of ideas coming from every direction must be overwhelming. Over the course of 20 years working with young people, I’ve noticed an increased pressure on them since I grew up. Some of this certainly comes from the rise of social media, but also from parents and schools pushing kids to succeed in an effort to prepare them from a working world that is becoming increasingly competitive and goal-oriented. 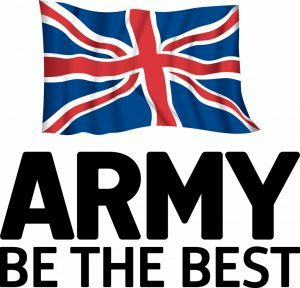 When I think about the message I want to give to the young people I work with, I remember those old adverts for joining the British Army. “Be the Best” – it’s not about doing something specific, or even necessarily succeeding. It’s about trying. I was very fortunate in how I was raised – my parents didn’t focus on grades, but on the effort I put into whatever I was doing. They knew I just wasn’t capable of getting an A in my Maths GCSE, but that didn’t mean I should give anything less than 100%. This instilled a principle within me that is now at the centre of our work with young people at LifeLine. Academic success is important – but what is essential is that our students go on a journey. Our VIP approach seeks to instil a newfound sense of vision, identity and purpose in our young people, and it vital that these young people secure these elements on their own. Take Identity – sure, we can try and offer an alternative message about who young people are and what they can be, but then we’re not any different to the rest of society. At LifeLine we try to help people come to their own conclusions about who they are and what they believe. Of course, that doesn’t mean we don’t have high expectations about what we want young people to be. This vision isn’t focused on academic qualifications, or success in the working world – but on young people becoming agents of change wherever they go! When it comes to sharing your vision with young people, it’s important to focus on the positive. Any fans of extreme sports like snowboarding or mountain biking will tell you that you never look at the obstacles you’re trying to avoid – or before you know it, you’ll be hitting a tree head first! We don’t talk about what we want our young people not to be, but what they can aspire towards. I would challenge the media to take the same approach – negativity sells, but in these troubled times we need to think future, not fear. With a balanced view of where we are and where we need to be, we can encourage our young people to develop their own vision for themselves and our shared society. ← Why is alternative education so crucial?